JOHN DEERE SERIES SCOTTS AND SABRE. Aramid cords provides strength and preserves flexibility. This is the classic style V BelT. This belt is a HIGH QUALITY belt that will last you for hours and hours of wear under normal conditions. Good useable part is a 16HP Kohler Command starter for the Scotts 16/42 model tractor. Starter is in good condition. Manufactured by John Deere. Starter is in good condition. No P.O. Boxes. There Are Signs of Dirt And Debris on Mower. All Hardware And Instruction Manual Are In The Box. What You See in Pictures is What You Are Purchasing. Hood is in good condition. Hood is faded. No P.O. Boxes. Muffler is in good condition. No P.O. Boxes. Tires are in good condition. Tire size is 16X6.50-8. No P.O. Boxes. Good condition part ready for your project. Part is straight off an engine so might be dirty when you get it. Sold as-Is, No Warranty Implied. STARTER Fits SCOTT'S 20 20HP 25 25HP L2048 S2046 L2548 S2546 Briggs & Stratton NEW. L2048 Briggs & Stratton 20HP 2002-Up. L2548 Briggs & Stratton 25HP 2002-Up. S2546 Briggs & Stratton 25HP 1999-2000. S2046 Briggs & Stratton 20HP 1999-Up. Excellent shape very little fading, all lights and hinges included. You will receive two wheels. Choose the two that you want from the four pictured. Deck hangers are in good condition. No P.O. Boxes. Parting out a Scotts Lawn Tractor Model 46580X8A. In good shape. I (obars) am NOT responsible for any and all losses and/or injuries in relation to any item being sold and/or used. I WILL TAKE CARE OF YOUR CONCERNS AT THE BEST OF MY ABILITY. Gas tank is in good condition. 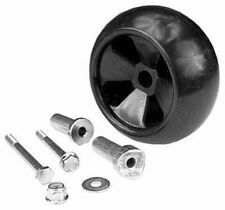 One of The Wheel Shrouds is Bent, But Does Not Effect The Functionality Of The Mower. --Mower Missing Handle Bolts & E-Rings. --What You See in Pictures is What You Are Purchasing. --The Foam Handle Has a Few Knicks In it. Trending at $97.08eBay determines this price through a machine learned model of the product's sale prices within the last 90 days. This part is from a 22" Scotts 3n1 Mower Model No. 228670X8A with a 4-Cycle Tecumseh Engine Model No. OVRM120 22043E and DOM 0350J. I am pretty sure of the part numbers I have listed, but not 100 percent certain. PART NUMBER M143233. SCOTTS IGNITION COIL. MAKE : SCOTTS. DECK INFORMATION. SERIAL NUMBER #: GX1642S145974. SERIAL: 3107803573. UNIT INFORMATION. MODEL : S1642. SCOTTS HOOD. UNIT INFORMATION. PART #GX20273. Item is USED. FAMILY: 1KHXS04902GB. SERIAL: 3126305073. Here is the Front Wheel & Tire removed from a Scotts 1642 riding lawn mower 15x6.00-6. Tire has a tube and holds air well. There is no warranty for used parts.All parts are tested and are in good working condition before removal(unless otherwise noted). Flywheel is in good condition. 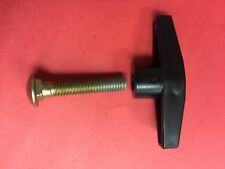 This part is from a 22" Scotts 3n1 Mower Model No. 228670X8A with a 4-Cycle Tecumseh Engine Model No. OVRM120 22043E and DOM 0350J. Mower was in running condition when parted out. I am pretty sure of the part numbers I have listed, but not 100 percent certain. Switch is in good condition. No P.O. Boxes. These are from a Scotts 1742 but would also fit John Deere L100, overall width 7" wide 9" tall hub lenght 3 1/2" with keyway, hub inside outside edge 1" on one side, 2 1/2" in on valve stem side 3/4" hub dia. 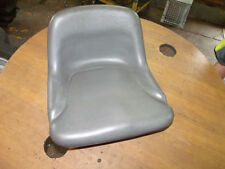 Here is the seat removed from a Scotts 1642 riding lawn mower. There is no warranty for used parts.All parts are tested and are in good working condition before removal(unless otherwise noted). Installation/repairs should always be done by a professional. PART #672801MA. MODEL # 21595X8B. 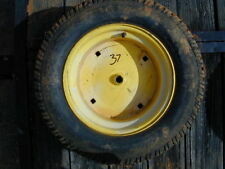 2 OEM USED SCOTTS MURRAY 14X2 REAR LAWNMOWER WHEELS THESE ARE WORN A LITTLE AS SEEN IN THE PIC. SAVAGED FROM S1642 RIDDING MOWER MODEL # 425 89x8. USED HAS RUST AS SEEN IN PHOTOS. 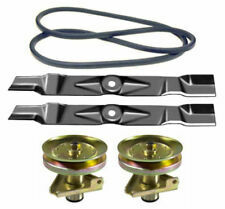 Scotts S1642 Lawn Tractor 42" Mower Deck Rebuild Kit. 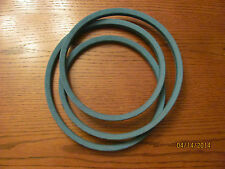 This Mower Deck Rebuild Kit Includes (1) 115-1/4" x 1/2" Deck Belt - Replaces John Deere M124895. 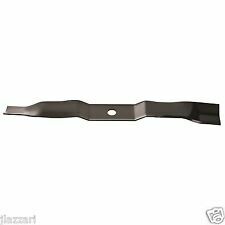 (2) 21-15/32" Blades - Replaces John Deere M139802. Flywheel fan is in good condition. No P.O. Boxes. Murray: 037X88, 037X88MA, 37X88, 710213. Scotts: 710213. Belt Application: Deck. Why buy from EPR Distribution?. Our team works hard to find you the best deals and provide you with a wide selection of products. Up for sale is this rear tire and rim removed from a Scott's 1642 riding lawn mower. Tire size: 20x8.00-8. Holds air well. 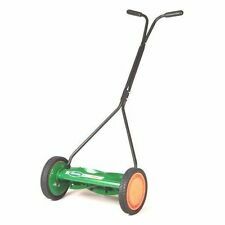 Fits a wide variety of riding mowers.We have a wide variety of used parts for late model lawn and garden tractors. (SUBS FROM AM126397). MAKE : SCOTTS. DECK INFORMATION. SERIAL NUMBER #: GX1642S145974. SERIAL: 3107803573. UNIT INFORMATION. PART NUMBER #GY20647. MAKE : KOHLER. PART # GY20140. SCOTTS ENGINE DOUBLE PULLEY. UNIT INFORMATION. ENGINE INFORMATION. Item is USED. SERIAL: 3126305073. (SUBS FROM GY20440). SCOTTS RIGHT DRAG LINK. UNIT INFORMATION. PART #GY20492. Item is USED. MODEL #: CV491S.